I had Pelau for my main. It is described as “Imagine Jambalaya, boneless dark and white chicken swimming in an ocean of chopped carrots, celery and white rice browned by pigeon peas or red beans). I guess I did not “imagine” enough. I like fried rice but, personally, not mushed up rice. When it came I thought to myself this is exactly what was described word for word but it did not occured to me it is like this. Anyway, I since I got this I took this … and actually liked it! 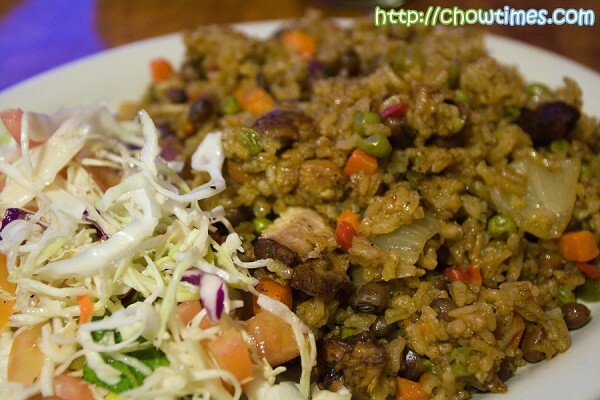 I still did not like the texture of the soggy rice but love the flavour in the Pelau. 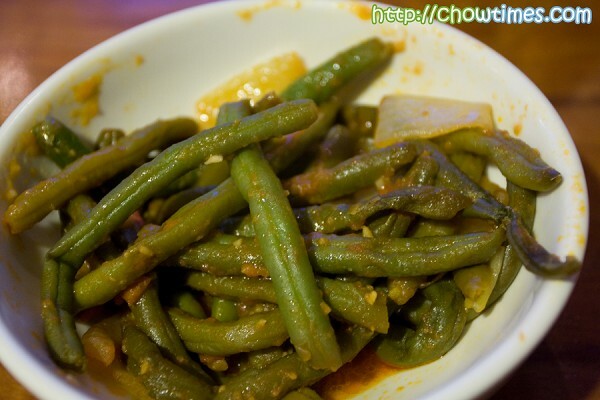 We also ordered a side dish … Spicy String Beans. It was only mildly spicy and has a sourish taste to it. We thought we should not have ordered this as the main dish with the drinks were already too much food for us. Their chili is wickedly hot. 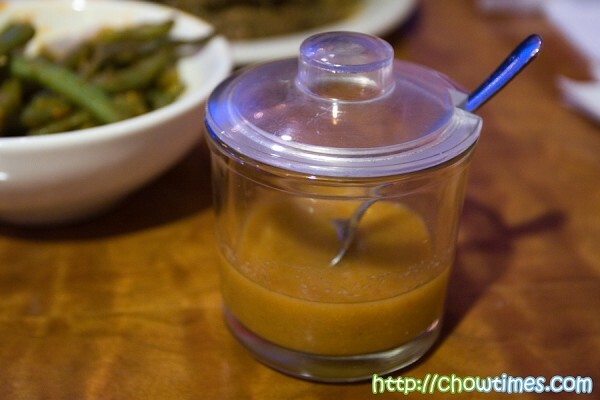 You want to spice up your food, the Habanero sauce is rather lethal. I just took a small drop and the heat lingers in my mouth for a long time. 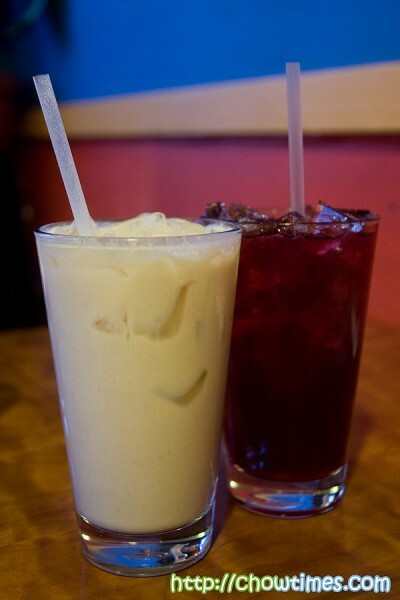 The milk base peanut punch did nothing much to ease the pain. 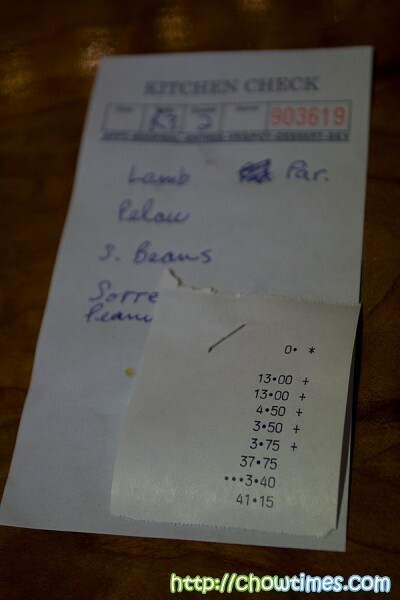 The bill came up to $48 after tips … and that is USD, mind you. So, foremost in our mind is “boy, this is a bit too expensive for rotis”. This is almost twice the money compareed with The Kingfish cafe we had earlier that day. 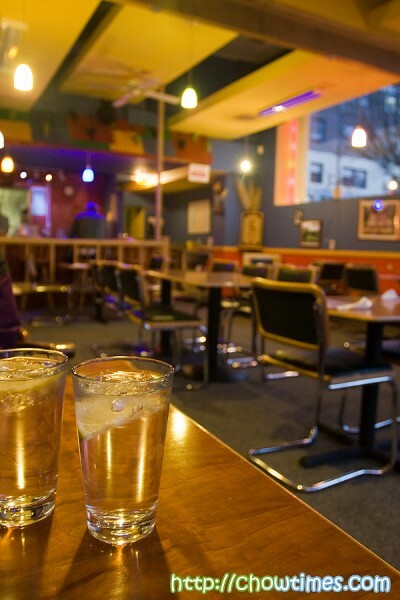 So, here is my verdict … Pam’s Kitchen is over-priced and over-hyped [Ducking again the brickbats thrown my way]. The food was not bad, mind you. Pam’s is in the University District which is one of the rowdier neighborhoods of the city, and one where I would be most likely to be careful of my surroundings and not stay out too late. It is very safe in the daytime and early evening, but no doubt the neighborhood prompts the “Right to Refuse Service” sign. People reading this blog are unlikely to be refused service…! I haven’t been to Pam’s yet, but we go to the little movie theater across the street so I’ll go soon. 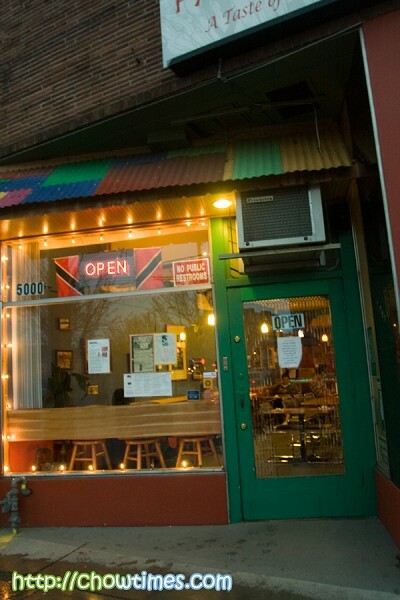 Fourno’s, a block south, is great for very inexpensive and tasty Greek food. I am a big fan of pam’s and a the dalpurhi is what you want to order with the roti by the way. Don’t let this review fool you..pam’s is way worth it! 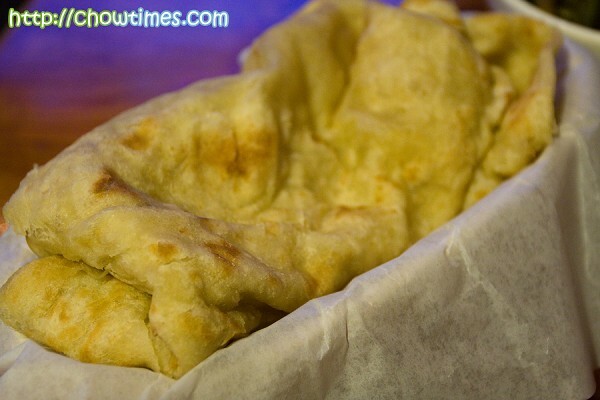 Any Trini will feel at home and plenty hungry! Liming at Pam’s..
As a whole, which city has better eats: Seattle or Vancouver? I love rotis from Trinidad. 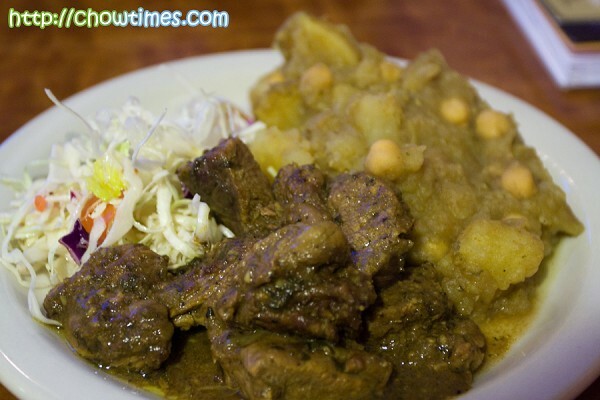 There used to be place that served true blue Trinidadian food like curry meat rotis, curry plates etc. on West 4th but they closed a few years ago which was too bad. I think it was replaced by a juice bar called Sejuiced.